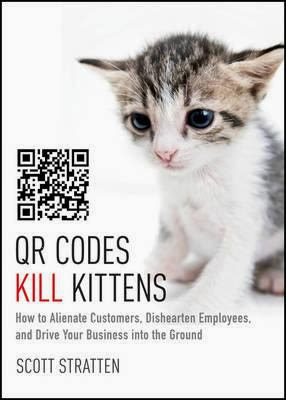 brandflakesforbreakfast: qr codes kill kittens? Not exactly, but that's the over-exaggerated point Scott Stratten makes with his book on how a lot of companies and marketers don't know how to effectively use QR codes or keep the end user (consumers) in mind. The book is filled with lots of visual examples of misuse (about 200 pages or so) which makes for a light, fun read and could make the perfect holiday gift for co-workers.